Madhya Pradesh Vigyan Sabha has organized Awareness Campaign against E-Waste at Shiv Nagar, (Residential Society) Indore on 25-05-2017 at 2.00 PM. The program was organized for creating the hazardous and dangerous impacts of Electronic wastes on the environment as well as our life. 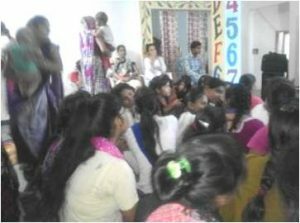 In this program more than 37 people have been participated.